An Independent People: The Story of Ulster’s Presbyterians is a tour of Ireland with a difference. 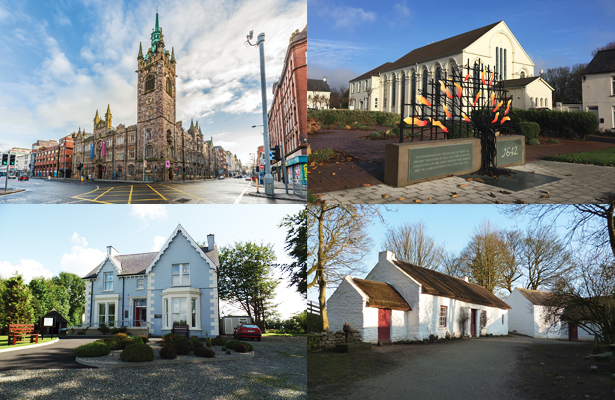 Over six days you will discover the dynamic and at times radical history of Presbyterianism in Ulster first-hand through excursions to some of the province’s most historic sites, in the good company of a number of acknowledged experts on Irish Presbyterianism. Imagine being able to wander among the ruins of the first church used for Presbyterian services in Ireland. Imagine standing at the harbour where in September 1636 a group of brave Ulster-Scots Presbyterians set sail for America. Imagine following in the footsteps of Francis Makemie, the father of the Presbyterian Church in the United States.. The tour will begin on Monday morning with a warm welcome at the Discover Ulster-Scots Centre, Victoria Street, Belfast, in Belfast’s historic Cathedral Quarter. Over tea/coffee and scones you will meet the Directors of Heritage Experience, including your guides for the week, and learn more about the story of Ulster’s Presbyterians. The day will also include visits to Belfast’s most historic meeting house – First Presbyterian Church in Rosemary Street – Assembly Buildings, the headquarters of the Presbyterian Church in Ireland, and the truly stunning Sinclair Seamen’s Presbyterian Church. On this day we will visit North Down and the Ards, an area that boasts an incredible Presbyterian heritage with compelling stories, fascinating characters and great locations. Places visited will include Holywood, Bangor, Groomsport, Donaghadee, Greyabbey, Newtownards and Killyleagh. The third day of our tour will see us head far west to visit the historic walled city of Derry-Londonderry. Here we will have an opportunity to visit the impressive First Derry Presbyterian Church, with its Blue Coat Visitor Centre, before proceeding to County Donegal stopping off at the Monreagh Heritage Centre and then Ramelton, with its handsome Georgian streetscape. What trip to Ireland would not be complete without a visit to the Giant’s Causeway, one of the natural wonders of the world, where you will have the opportunity to walk the famous basalt stones? This outing will also take in the glorious Glens of Antrim and the spectacularly situated Dunluce Castle, perched on a headland overlooking the wild Atlantic. The Ulster-American Folk Park in County Tyrone is a wonderful outdoor museum that, through a series of reconstructed buildings, tells the story of emigration from Ulster to America in the 18th and 19th centuries. You will also have the chance to call at Mellon Centre for Migration Studies which is located at the Folk Park. On our return to Belfast you will have a free evening to do as you please. On the final day of our tour we will go right back to the start of Presbyterianism on our island as we explore some of the locations that mark the birthplace of the Presbyterian Church in Ireland. These include Ballycarry, Carrickfergus and the scenic Sixmilewater Valley of County Antrim. There will also be a visit to Sentry Hill, a beautifully preserved Victorian farmhouse, home of a remarkable Presbyterian family. Please note that travel to and from Northern Ireland and accommodation are not included in the price, and delegates will need to make their own reservations for accommodation. There are however a number of hotels in Belfast’s historic Cathedral Quarter which would merit consideration. Alternatively, you may wish to stay elsewhere in Belfast or its vicinity. Go to www.discovernorthernireland.com to check out accommodation options. The Ramada Encore, Belfast will be the pick-up and drop-off point for the duration of the Independent People Tour. Delegates not staying at this hotel will be expected to make their own way here each day to take part in the excursions. 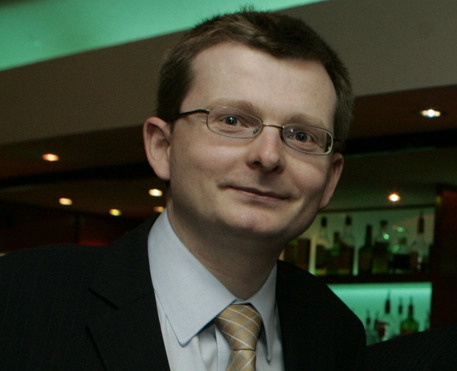 Dr William Roulston has been Research Director of the Ulster Historical Foundation since 2006. He holds a PhD in Archaeology from Queen’s University Belfast. William was one of the founders of the social enterprise, Heritage Experience Ltd, and serves as one of its voluntary directors. He is a Member of Council of both the Presbyterian Historical Society of Ireland and the Belfast Natural History and Philosophical Society, and is a Fellow of the Society of Antiquaries of Scotland. He has lectured widely on history and genealogy in North America, Britain and Ireland, and has been involved in numerous television documentaries. William has researched and written on a number of aspects of 17th- and 18th-century Ulster and is the author of several books including Researching Scots-Irish Ancestors (2005), Restoration Strabane, 1660-1714 (2007), Three Centuries of Life in a Tyrone Parish: a History of Donagheady from 1600 to 1900 (2010), Abercorn: the Hamiltons of Barons Court (2014), and Foyle Valley Covenanters (2015). Among his other research interests are the Ulster Plantation of the seventeenth century and the role of Covenanters in America in the antislavery movement. Through the week Dr Roulston will be joined by a number of other authorities on Irish Presbyterianism. All Heritage Experience Tours are priced are in Great British Pounds. Immediate booking to reserve a pIace on this tour is recommended. Deposits of £315 must then be paid by 31st May 2016. The balance is due no less than 90 days before the departure date. Bookings made less than 90 days before the departure date require full payment at the time of booking. A payment of a deposit indicates an acceptance of all the conditions below by the purchaser and/or Client. A fee totalling 50% of the total money of the reserved tour will be retained if cancellation takes place 60–30 days prior to the tour departing for tours. Less than 30 days before departure for tours, no refund of the total cost of the tour is available unless your place is resold, in which case you receive a 50% refund on the tour price. If the programme fails to fill with the necessary minimum number of participants required, we shall refund all received fees. In the event that Authentic Ulster cancels the trip for any reason, all fees including deposits will be returned in full. It will not be possible however to refund the cost of any travel arrangements that you have made you have made. No refund will be issued to those failing to join the tour, or any other services not utilised, or for a partially completed vacation. Heritage Experience reserves the right to cancel any departure in which case no liability shall fall upon Heritage Experience. In this case, participants’ payment will be refunded in full. All travellers require valid passports with at least six months validity remaining. Travellers are also responsible for necessary visas and health certificates, and must meet all costs incurred to comply with such requirements. Prices and tariffs quoted for Tours are subject to change without notice in the event of unforeseen circumstances beyond our control, such as significant currency fluctuations. We reserve the right to vary or cancel the itinerary, or services nominated in the tour descriptions should circumstances warrant that such changes would be in the best interest of the client, or for any other operational reason. The commencement of each Tour is subject to sufficient numbers booking a tour, and the right is reserved to cancel any Tour, should there not be sufficient bookings, in which case deposits will be refunded. In the event that Heritage Experience cancels the trip for any reason, all fees including deposits will be returned in full. The cost of any travel arrangements you have made however will not be reimbursed. 1. Name and address of the company providing the insurance. 2. Policy number for a valid insurance policy. It is a condition of booking with Heritage Experience that travellers over the age of 70 and those who suffer from a pre-existing medical condition provide a Medical Certificate signed by their doctor and complete a General Health Questionnaire before final confirmation and documentation is issued. This Certificate and Questionnaire should act as a prompt for you to consider any fitness issues well in advance of booking your trip. All Heritage Experience travellers should therefore be of good physical health, to be able to participate in the group travel experience fully. Just a gentle reminder that travellers on a Heritage Experience tour require a degree of flexibility, and you should understand that the trip’s route and modes of transport are subject to change without prior notice due to local circumstances. Should Heritage Experience deem it advisable to amend an itinerary for any reason, it may do so by shortening, varying or re-routing any trip. These changes are binding and additional expenses will be charged to you if the reason for any alteration is outside Heritage Experience's control. While travelling with Heritage Experience you agree to accept the authority of the leader at all times. You are aware that travel within a group may involve compromise to accommodate the diverse desires and physical abilities of group members. You understand that Heritage Experience reserves the right to decline, accept, or retain any person as a member of the group at any time. You acknowledge that Heritage Experience contracts with a network of companies, government agencies and individuals to assist in the running of its tours. To the best of Heritage Experience's knowledge, these third parties are qualified to perform the duties they are contracted to perform. However Heritage Experience will not be held liable for any injury, damage, loss, delay or irregularity that may occur due to the behaviour of these third parties. Heritage Experience will not accept responsibility or liability for any traveller who contravenes any law or regulation of any country visited. Yes, you will need a passport. If you don’t have a passport, please order it immediately. You won’t be able to travel without it. You can apply for a passport online, and at some government agencies including the US Post Office. If you are a U.S Citizen find out more passport information or apply online at: U.S. Department of State passport webpage. New airline regulations state that you must have your passport before you can reserve an overseas airline ticket. Some countries require that your passport be valid at least six (6) months beyond the dates of your trip. Some airlines will not allow you to board if this requirement is not met. Yes. You are responsible for securing full overseas medical emergency coverage through your medical insurance provider for the duration of this trip. You should carry a copy of your insurance card when traveling abroad. Your coverage needs to begin no later than the date of your initial departure to the United Kingdom and should remain in effect for the duration of the trip. Will I need to have any vaccinations? The United Kingdom does not require U.S. Citizens to get any vaccinations. However, travelers should check with their physicians to determine if additional vaccinations are recommended for travel to the United Kingdom. Vaccinations depend on a travelers' vaccination history. Also, travelers should check the Disease Control Traveler's Health Webpage for updates on the United Kingdom. Is it safe to travel in the United Kingdom? The U.S. Department of State posts travel alerts and warnings for specific countries on their Travel Abroad Webpage. This website also includes tips on traveling abroad that are country specific. Travellers from other jurisdictions may need to check. How physically demanding is the program? Belfast is a wonderful walking city. We plan to stroll along some of the paths that Lewis often traveled. You should be able to walk and stand for at least an hour or so and climb a few flights of stairs in order to participate in these activities. Authentic Ulster may be unable to provide special accommodations for people with disabilities. If someone needs accommodation or assistance, that person must bring a companion/assistant at full price. Also, those who have a health or mental condition that may interfere with participation in program activities, need to consult with their physician to determine if they are able to participate in a physically demanding program. If a potential participant has any questions, they should email us at info@authenticulster.com. The hotels we are staying in will provide wireless internet service, as will many café’s in the area. Check with your cellular phone provider to see about coverage in the UK on your cell phone. What clothes should I bring for the tour? The weather will be unpredictable during this period. In September the average temperature is 12˚C. It is essential to bring waterproof clothing to this tour. Wear casual, comfortable layered clothing and comfortable walking shoes, as you will be walking outside frequently. Be prepared for rainy, inclement weather. How can I exchange U.S. Dollars for British Pounds? Most British establishments will accept your credit or debit card and that may be easier than using cash. You may also use your ATM card to withdraw money when in the United Kingdom. Just check with your bank and/or credit card company as regards their fees and exchange rates. If you’d like to have British pounds in hand before your trip, you may check with your local AAA office. You can also exchange U.S. Dollars at post offices and exchanges in the United Kingdom. You can check out this website, www.xe.com for the current exchange rate. Should I call my credit card company to let them know that I’ll be traveling overseas? Yes, some banks and/or credit card companies will put a hold on your account when they see unusual activity on your credit card if they do not know of your travel plans. You will receive an email confirming that the form has been successfully submitted. You will also receive an email advising on payment.